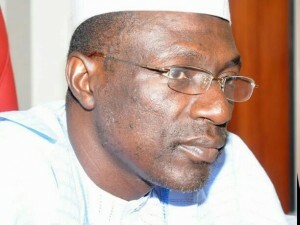 As part of continual effort to put its house in order, stalwarts of Peoples Democratic Party (PDP), North-west comprising of Kaduna, Katsina, Zamfara, Jigawa, Kano, Kebbi and Sokoto states Monday converged on Kaduna to put heads together ahead of controversial national convention slated for August 17th in Portharcourt, Rivers State. National Vice Chairman, North west, Ambassador Ibrahim Kazaure, said the meeting would among other things deliberate on positions that have been zoned to the region, with North-west having four positions, North-east three and the North-central having four. Kazaure stated clearly that the positions of the National Secretary, National Woman leader, Deputy Legal Adviser and Deputy Treasurer have been zoned to the North-west. But the positions zoned to the North-jwest will be shared amongst the old Sokoto state comprising of Sokoto, Zamfara and Kebbi States, the old Kano State comprising of Kano and Jigawa ‎states and the old Kaduna State comprising of Kaduna and Katsina states. Meanwhile by time the meeting ended, no position could be attached to anyone due to conflict of interest. He however hinted that a 12-man committee has been set up who are expected to meet this coming Friday to look into the various interests and come out with an agreed positions of the region. He said, “the states that makes up the old Sokoto states ‎will produce the National Secretary while Kaduna State will produce the National Woman leader” he said. Prominent among those who attended the meeting are the National caretaker committee chairman, Senator ‎ Mohammed Ahmed Makarfi, Former Governors Sule Lamido (Jigawa), Attairu Bafarawa (Sokoto) Malam Ibrahim Shakarau (Kano) Ibrahim Shema (Katsina) and Ramalan Yero (Kaduna). Also in attendance is the former Aviation Minister (state) and now Kaduna State Chairman of the party, Hassan Hyet, former Organizing Secretary Mustapha Abubakar, former Kaduna State deputy governor Ambassador Nuhu Bajoga among others including state party chairmen from the North-west.